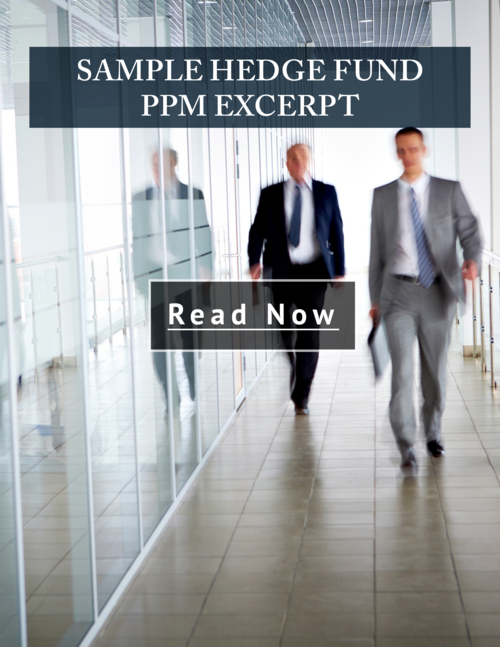 Example Hedge Fund PPM Excerpt | By John S. Lore, Esq. This is a brief excerpt of a sample hedge fund Private Placement Memorandum (PPM) with footnoted explanations of the PPM provisions. The PPM is based on a fictitious master-feeder hedge fund using a global fixed-income arbitrage strategy. The accompanying explanations discuss the reasons behind certain disclosure language as well as more detailed examination of certain fund topics and how they apply to the disclosure document. The excerpt also provides drafting tips, best practices recommendations, potential pitfalls and common mistakes in hedge fund PPMs. 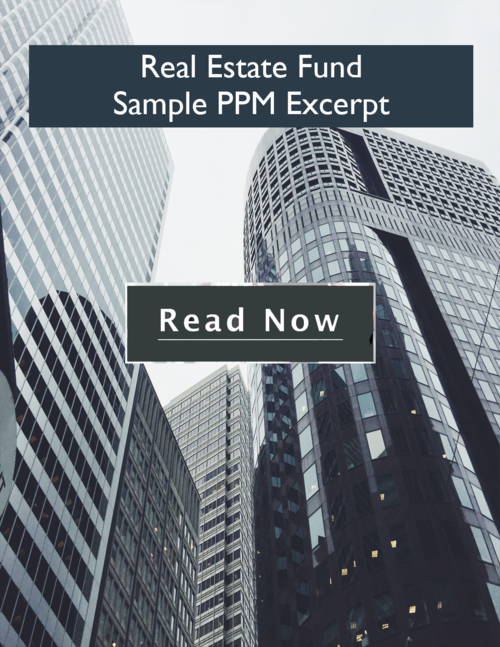 Example Real Estate Fund PPM Excerpt | By John S. Lore, Esq. The Following is a concise model excerpt of a private equity fund private placement memorandum (PPM). The PPM is based on a fictitious closed-end real estate fund investing in multi-family residential real estate in California. The excerpt highlights many of the fund investment terms that should be considered when forming in a private equity real estate fund. The excerpt is intended to provide an idea of the type of information and level of detail that should be expected in a fund and provide a starting point for discussions with an investment fund attorney. Example Operating Company PPM Excerpt | By John S. Lore, Esq. 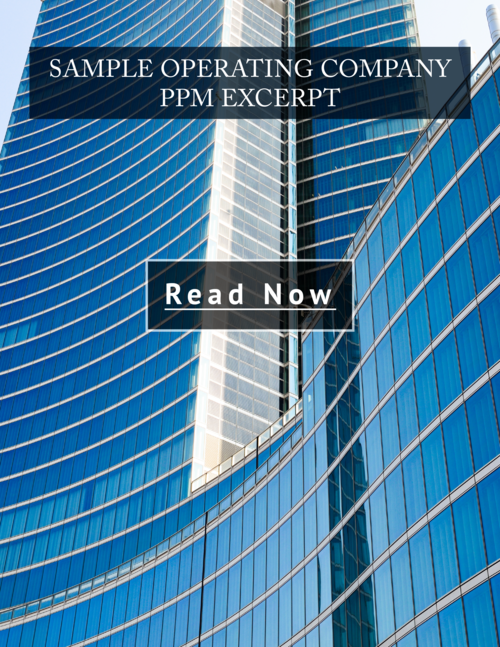 Although the document is focused on a narrow industry, the excerpt illustrates the level of specificity that an operating company PPM should have, particularly in its risk factors. Many issuers make the mistake of relying on template-driven boilerplate language that fails to identify risks and contingencies specific to the company’s business and regulatory climate.